Landscaping is extremely important for homeowners, even though you may not realize it. But, landscaping provides you with a place that’s comfortable to enjoy the great outdoors, and give your entire home a facelift and in return make your home worth more than it was before. The more you upkeep your yard and landscaping, the better for you and your neighbors. At first glance, you might think that landscaping isn’t that hard. While you’re partially correct, depending on the project you want to do, but to do an entire facelift to your yard and know what needs to go where, it’s imperative that you hire a professional landscaper that has years of experience. Before you start stocking up and sod, plants, and bricks, it’s important that you realize how a professional, experienced landscaper will benefit you compared to just hiring someone you saw on a street poster. From experience to materials and ideas, there are dozens of benefits from hiring a professional. So, where do you start on the process of hiring a landscaper to beautify your home and yard? Let’s start by having you ask your potential candidates some questions and look for these warning signs. 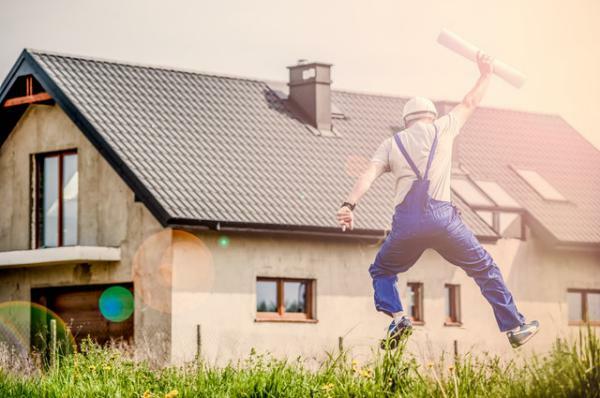 There are essentially five warning signs that a potential landscaping candidate isn’t properly equipped to handle the job that you’re asking them to do. First, and probably the most important thing to ask, is to see their license and insurance paperwork. If they can’t even do that, do NOT work with them. Landscapers should always have the proper license and insurances to cover themselves, and their employees, on a worksite. If you end up working with them and they don’t have these essentials, you run the risk of eating up the cost of an injury or a improperly installed yard. Next, look out for any sharp changes in your original quote compare to after the company starts working on your project. This is another warning sign that you’re not dealing with a professional. Yes, things can change on your quote depending on any problems or issues that the landscaping company runs into, but there shouldn’t be a huge difference in the amount that was quoted. This is actually a sign that the amateur was trying to just give you an intriguing low quote just to get your business in the first place. Did you get a thorough consultation before your landscaping work even began? Make sure this is done, as if not, you’re not working with a professional. At Water Solutions Company, we offer a full assessment of your soil and lighting in order to determine what plants, trees, shrubs, and flowers will grow the best. Additionally, we provide information about possible wildlife that will be either attracted, or repelled, by the certain plants you pick out. This information is important to know if you don’t want these critters drawn to your yard. Because we are professionals, we give you advice on what you can do with fences and building up colors in order to harmonize your landscaping. Do you keep getting cancelled on or have major delays when the company you hired is supposed to work? That’s a definite warning sign. A professional will always be on time, and ready to get the job done. Sure, delays may come up depending on issues that arise, because that’s life, but if working with a professional the landscaper will contact you and let you know beforehand. Finally, watch out for negative attitudes, a poor work ethic, and anyone who dispels your ideas and wishes for your yard. A professional landscaper should always, and will always be able to take your ideas and make them work cohesively into a beautiful yard. While you may think your yard just needs a few flowers, trees, and shrubs, a professional landscaper will bring out the true charm of your home and your entire property. This will include assessing fences, the home, any other structures that contribute to your property’s overall image, and assessing the wildlife that may come into your yard. When you a hire a professional the process will go a little something like this. First, a professional landscaping company, such as Water Solutions Company, will provide a full assessment of soil and lighting in order to determine what plants and trees will grow best for your yard. This is important if you don’t have a natural green thumb, a good sense of plant care, of have recently moved to the area and aren’t used to the climate and soil yet. Next, you’ll get the opportunity to select from attractive plants and discuss your ideas and plans for arranging them into your landscaping. This is perfect for someone who doesn’t know a lot about how the size and color of plants work together to create an appealing landscaping that highlights each part of your property. After you choose your plants and talk about where you’ll be putting them, your professional landscaper should talk about any wildlife that will be attracted or repelled by certain plants, trees, shrubs, etc. you chose. As we stated earlier, this is important information if you don’t want to draw any wildlife attention. But, if you do want to attract animals like hummingbirds, butterflies, or deer, please let the professional know because that helps determine the set up of your plants. Finally, your professional will talk to you about adding fences and building up colors to harmonize with the landscape materials you have chosen. This is extremely important as landscaping is much more than just adding some plants and a nice walkway. To fully complement your home’s curb appeal, you’ll need to think about lighting, colors, fencing, and hardscaping. This is also where you can talk with your landscaping company about patios, retaining walls, fire pits or fireplaces, walkways, and outdoor kitchens. To get started with the process of hiring a professional landscaping company, contact us today! Water Solutions Company has years of experience and only works with the best of the best. Plus, you’ll get a free estimate before we even begin!